The warmth has finally arrived! It’s so wonderful to finally get to go out without heavy jackets and get a little color from the sun. 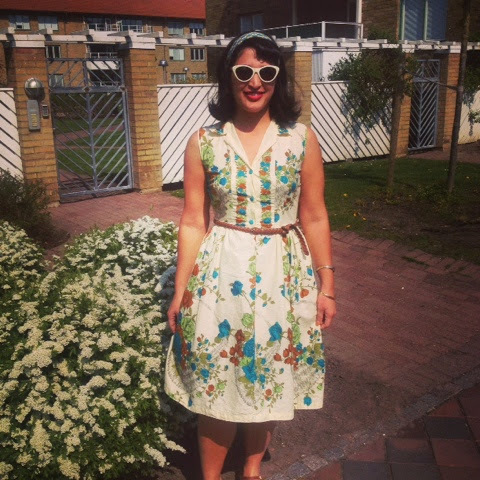 I broke out my 50’s sleeveless shirt dress that I got from Portland based Xtabay Vintage and spent Saturday in the sun with friends. 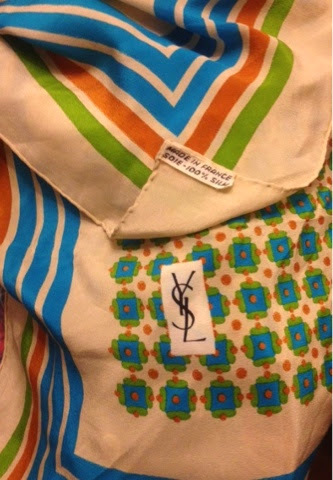 The colors of this dress gave me a chance to use my vintage Yves Saint Laurent scarf that I thrifted for $5 back when I was in high school. 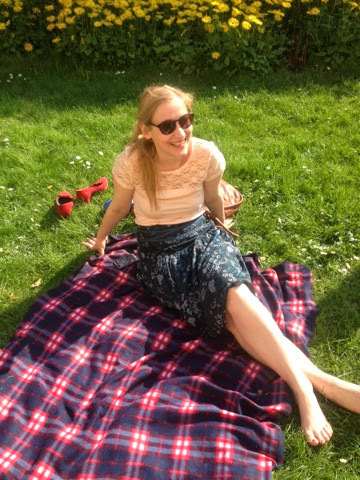 My friend Verena soaking up the sun. Also note her pretty red suede vintage heels that she bought at last year’s Malmö Vintage Expo resting in the grass. Too cute! 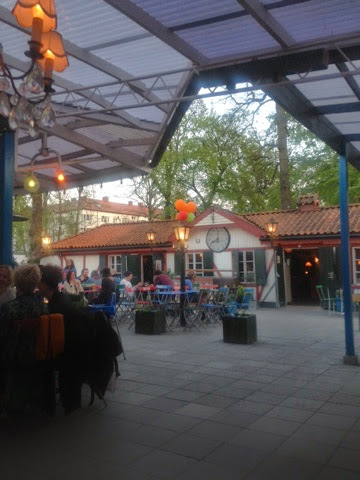 Saturday evening started off at Far i Hatten at Folkets Park in Malmö. 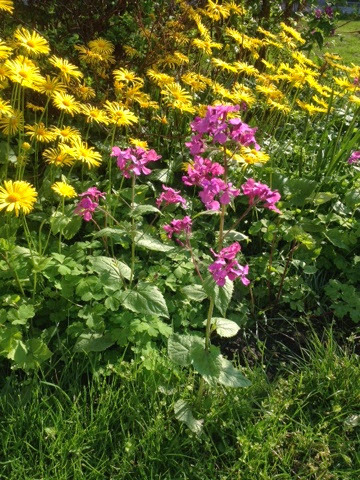 I just love this place, and it’s really at its best in the spring and summer when you can enjoy the outdoors. 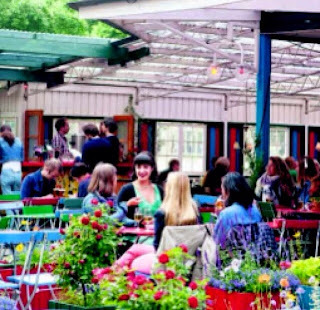 The following photo is an oldie (and blurry) from last summer, when Metro Malmö newspaper caught me and my gals having a drink at Far i Hatten. And they have cool old posters decorating the outdoor bar. 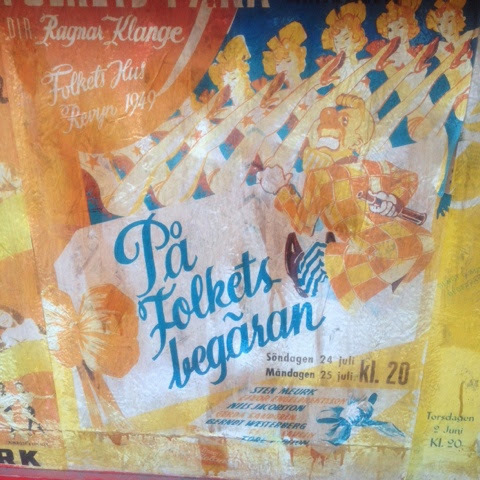 This one is from the 1949 revue at Malmö's Folkets Hus (peoples' house). 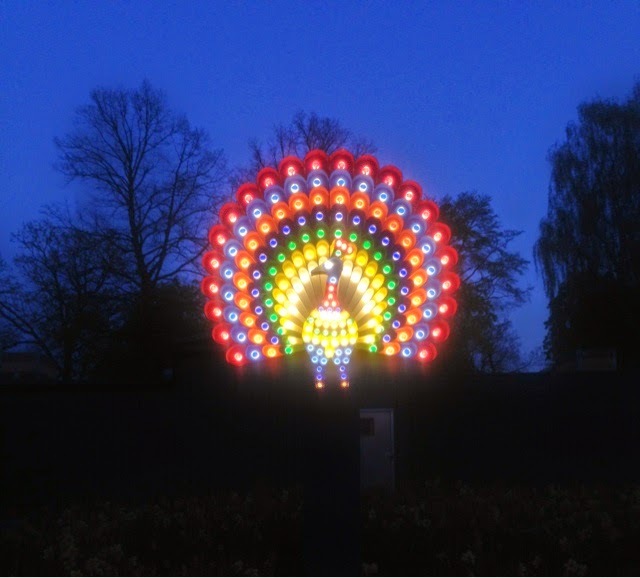 A beautiful little peacock lights up the night outside of Far i Hatten. On Sunday I went to the Mitt Möllan Spring Market. Mitt Möllan houses the Malmö Beyond Retro. Artists, crafters, bakers, and local boutiques were present at the market, and it was a great showing of the creativity that is all around in Malmö. I didn’t go home with any art, but Emmaus Björka (a secondhand store like Salvation Army) was also there…and I found some wonderful things! I’ll tell you all about them in my next post.